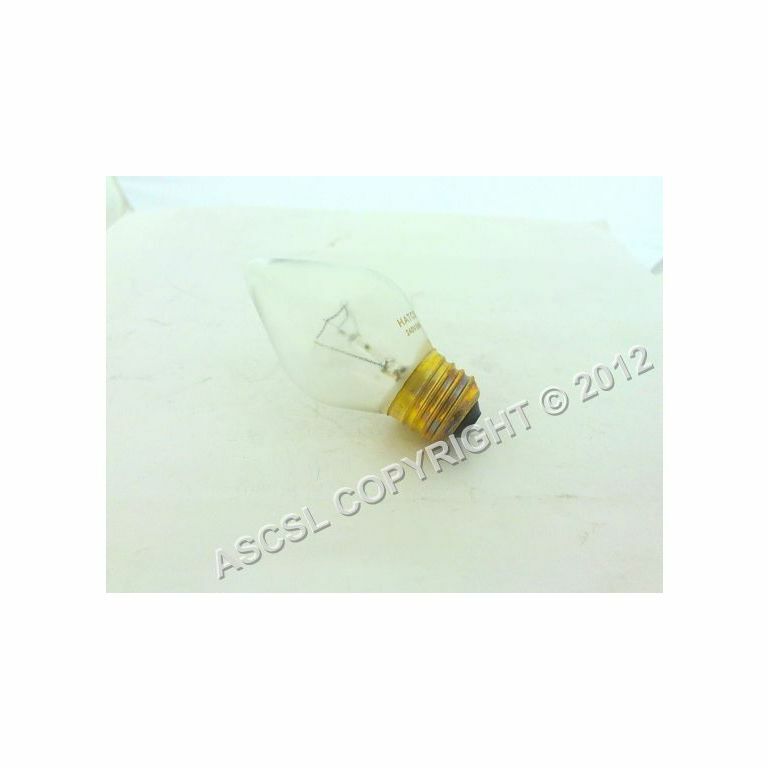 Internal bulb for a Hatco FST2X Oven, 60W, 240V, clear teflon. Fits for model: FST2X, E27. This item has been superseded by E27 Bulb - Hatco GMFFL200002 GRAHL-36T Chip Scuttle 60w Edison Screw candle-style.